The HS Series Washer Extractor from the laundry equipment innovators of Renzacci of Italy is a high-spin range of models, built with your convenience in mind. Shaping the future of wet cleaning, the HS Series brings a vast array of features and options so you can customize your high-performance machine to suit your business. 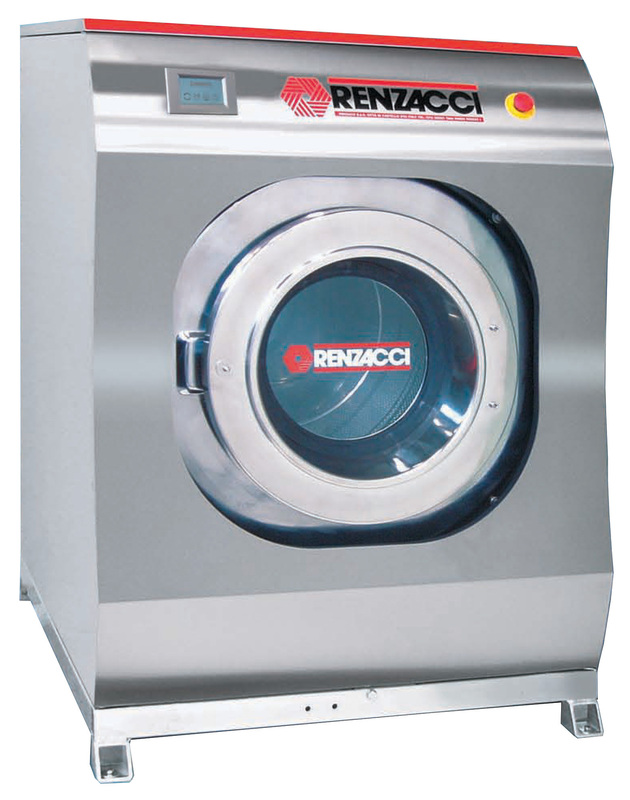 From Coin-Op versions with combined payment to adding dosing pumps for liquid soaps, these Renzacci washer extractors are suitable for independent laundromats as well as high volume businesses such as hotels. Renzacci-USA brings you the HS Series Washer Extractors; available in 20 lb, 25 lb, 30 lb, 36 lb, 50 lb, 77 lb, 117 lb, and 200lb models. Renzacci’s new Aquatron computer interface is easy to use and offers maximum flexibility. The OTC (one touch clean) is easy and accessible thanks to the innovative touch screen system with graphic and ultra-polarized LCD display. It is now possible—with just one touch—to quickly create an almost infinite combination of times, pauses, and drum rotations for the treatment of even the most delicate garments. Control bath temperatures and levels, customizing each one according to the garments to be washed. The Multicheck System takes the guesswork out of your cleaning techniques by offering real-time guidance and self-diagnostic checks! With a minimum of 50 programs (that can be re-set at any time), the Aquatron is the ideal computer for the most modern wet cleaning techniques! At Renzacci-USA, we stay ahead of the game. If you want to propel your business above the competition, inquire about our HS Series Washer Extractors. Call us to speak to a knowledgeable representative or fill out our online form for more information about our laundry equipment.